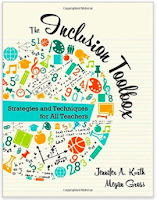 Authors, Jennifer Kurth and Megan Gross, provide a comprehensive resource for inclusive education in this essential resource! Full of research-based strategies, tools, and practical advice on inclusive education. The Inclusion Tool Box will expertly guide any teacher through the development, implementation, and expansion of an inclusive classroom. Topics include collaboration techniques, lesson planning for inclusion, grading, and ideas for behavior management. Checklists, templates and examples of schedules round-out this must-have book. 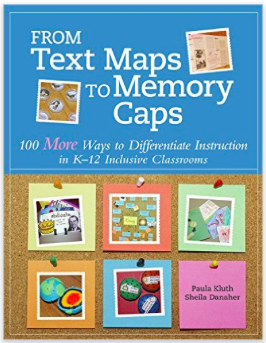 Paula Kluth and Sheila Danaher put together 100 more ways that teachers can differentiate instruction in their follow-up book to From Tutor Scripts to Talking Sticks. This illustrated guided gives teachers time-effective ways in which they can tailor curriuclum to meet the different needs of students. 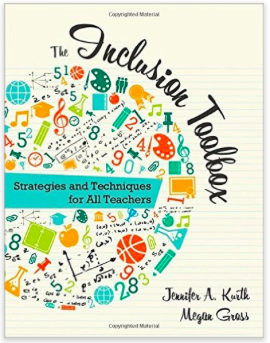 Inclusive or not, K-12 classrooms will benefit from the creative ideas in this book that must be on every teacher's shelf. Topics include strategies for differentiating mathematics, language arts, assessment and behavior management. 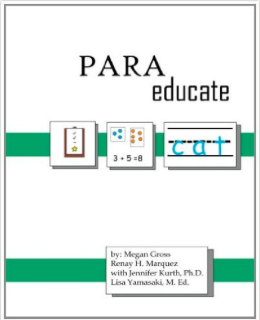 Here is a handy resource guide for paraeducators and teachers written by paraeducators! 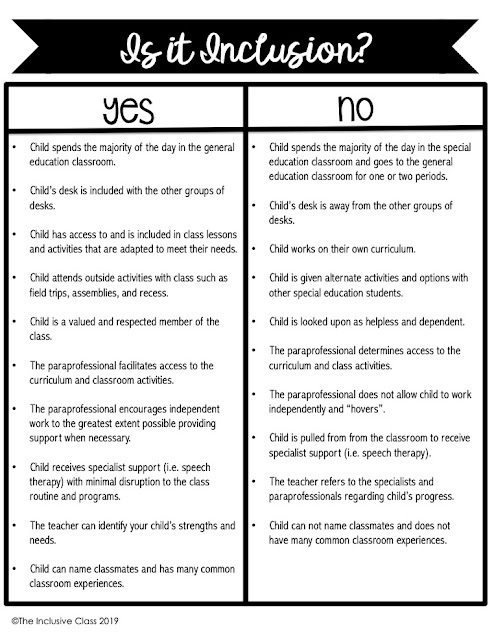 Authors, Megan Gross and Renay H. Marquez, have written the "ultimate guide to working in special education." 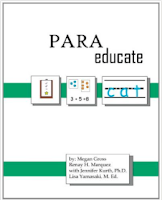 Easily adapted to the inclusive classroom, ParaEducate, outlines ways in which paraprofessionals can support student learning, behavior, communication and social skills. Special education terms, tools and stories give readers a deeper understanding of how to educate all kinds of learners. 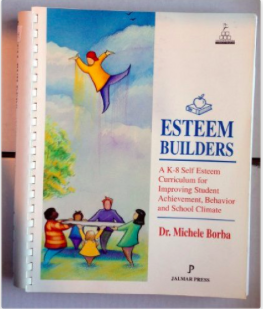 This award-winning teacher's guide by Dr. Michele Borba is a timeless classic for every teacher's resource shelf. Dr. Borba provides a skill-building approach to developing student self-esteem and improving class, as well as, school climate. Teachers can quickly and easily use the practical ideas that Dr. Borba suggests, resulting in greater student motivation and social/personal responsiblity. The book includes strategies for monthly themes, school-wide activities, staff and student assessment, as well as cooperative activities. 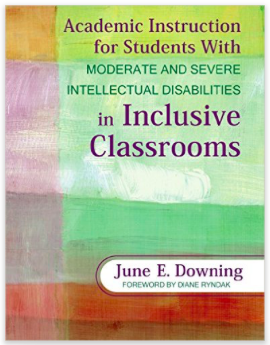 June E. Downing, a pioneer in the world of inclusive education, writes a resource book for teachers who have students with moderate to severe intellectual disabilities in their classrooms. 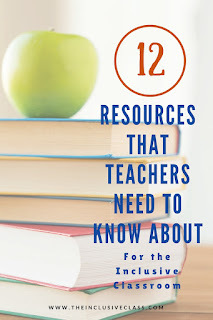 Suggestions for determining student needs, adapting curriculum, and assesing students help teachers fully include students who work below grade level. This website needs to be bookmarked by teachers in every kind of classroom. 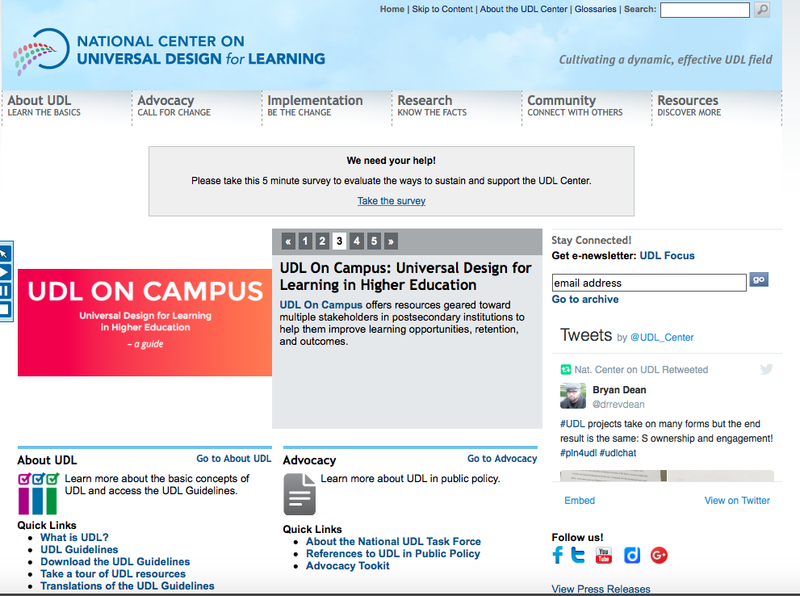 It provides the most comprehensive information on Universal Design for Learning on the web! UDL is a set of principles for curriculum development that allows all types of students access to the curriuclum. 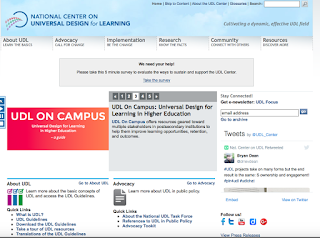 Ideal for inclusive classrooms, UDL is a proven, research-based, approach to delivering content. 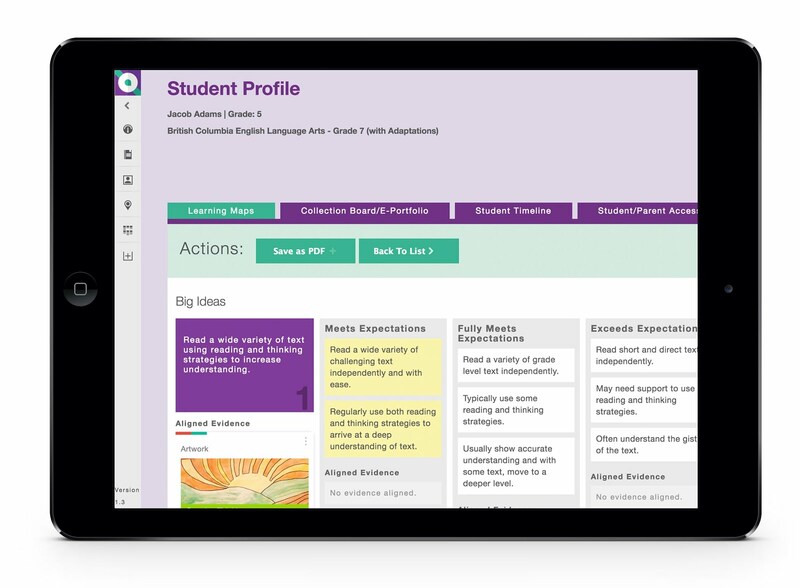 In addition, resources such as a UDL lesson planning page, is an invaluable tool for curriclum planning. Students make progress in a variety of ways and letter grades are not the only way to report growth. Student-centered, summative as well as formative assessment, are key features of an inclusive classroom. Enter Quio. 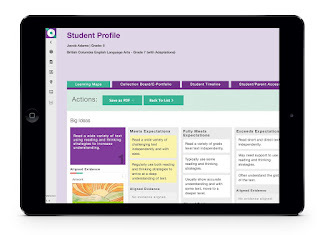 Quio is an innovative, online platform that teachers can use to track and assess authentic student learning. Teachers can plan meaningful instruction and evaluation by matching curriculum perfomance descriptors. Evidence of student growth (such as photos, documents, audio clips and video clips) can be safely stored on line and shared with students and/or families. This transparent form of communication allows students to develop self-directed learning skills and parents to support learning outcomes. 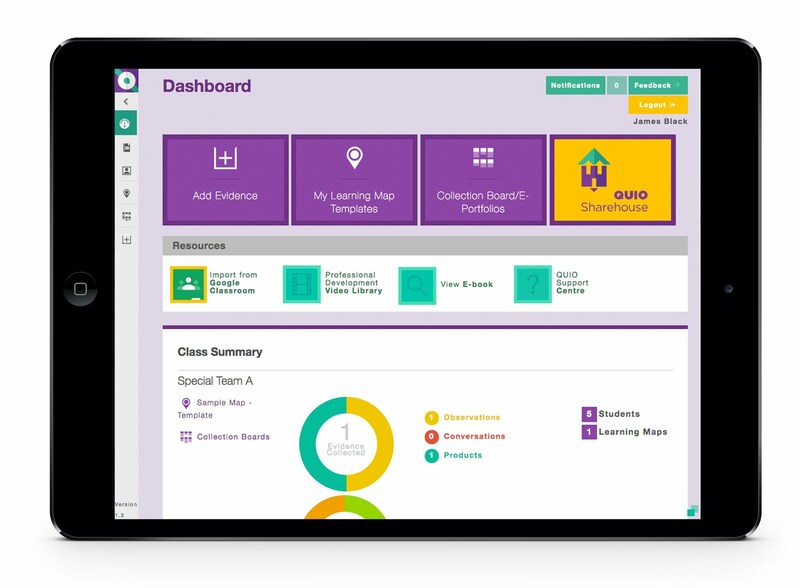 Quio is suitable for all grade-levels and types of classrooms. Full disclosure here! 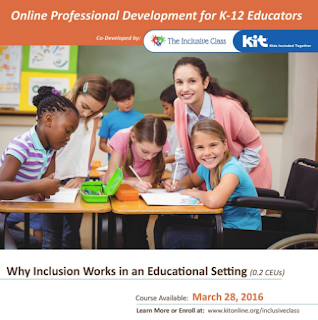 This online professional development course for K-12 educators was co-developed by The Inclusive Class and Kids Included Together. 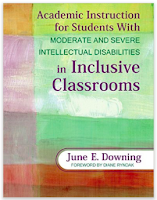 It pulls together accurate and recent research, in addition to a wealth of real-life experience, to create a comprehensive overview of inclusion in the classroom. Delivered in a user-friendly, interactive format, this online course can be used towards CEUs. 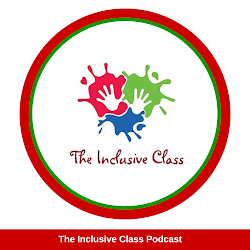 Topics include the history of inclusive education, the purpose, what inclusion looks like and what the research says about it. 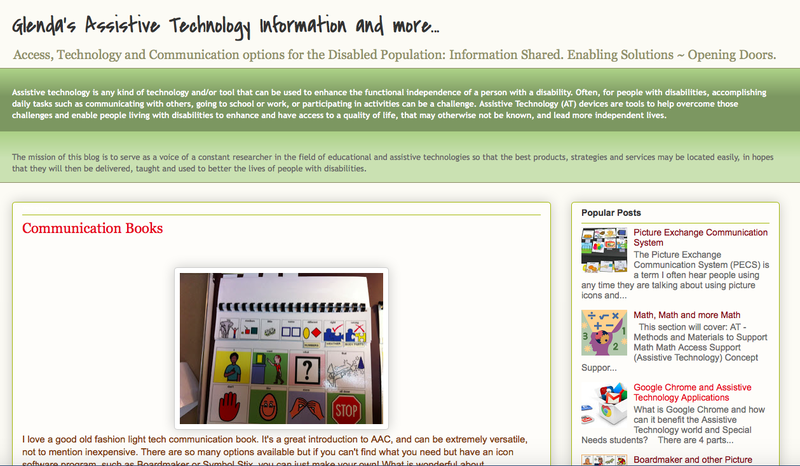 This is one of my favorite go-to sites for all-things assistive technology! 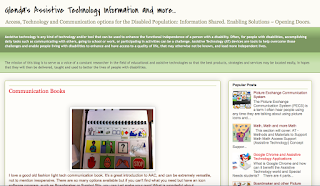 Creator, Glenda Hampton Anderson, combines her extended experience as a teacher and service provider to bring the latest information on supporting students using assistive technology. 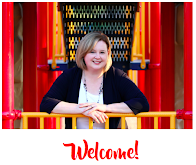 She covers dozens of topics including helpful software, strategies for skill development, and technology implementation. You'll spend hours combing through the valuable and helpful information Glenda gives! 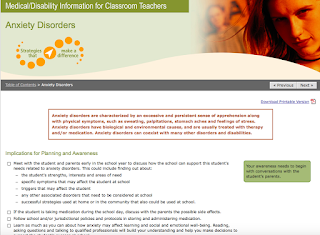 This is one of THE BEST sites on the internet for learning and understanding medical and disability issues within the school context. Created by the province of Alberta, educators and families can research ways to support and teach students with various disabilities. 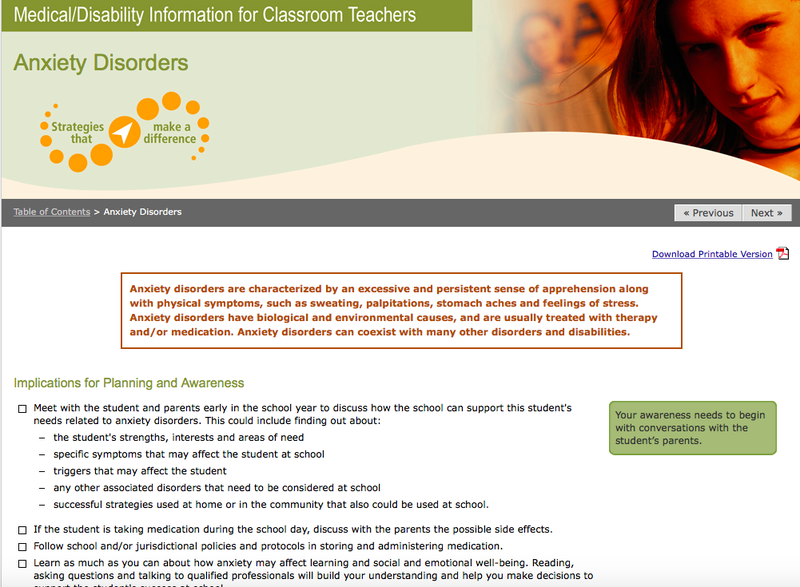 In addition to medical information about moderate to severe needs, there are strategies for teaching and communicating with students. Just as important, it is presented in a quick and easy-to-read format. 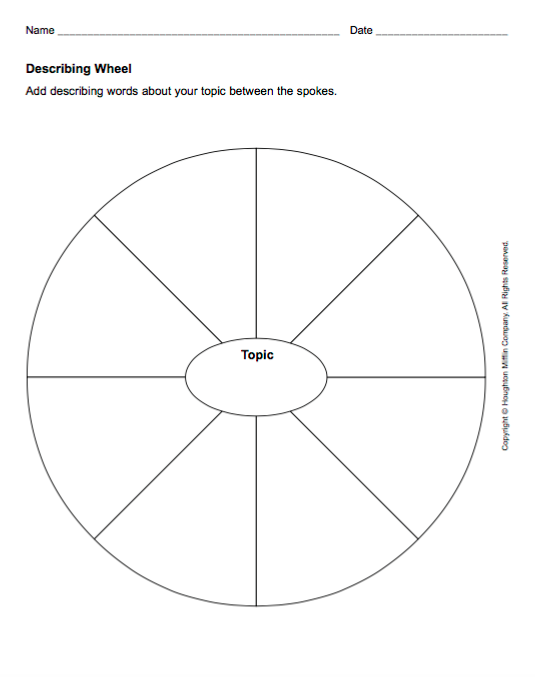 Eduplace.com houses a number of free graphic organizers that can be printed off and used for any class. 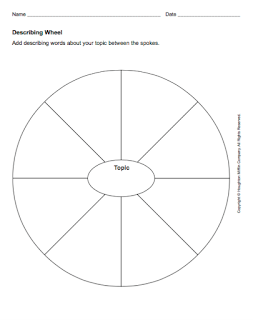 These graphic organizers can help all students better understand concepts as well as demonstrate learning. 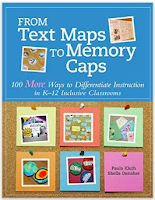 A must-have resource for your classroom! 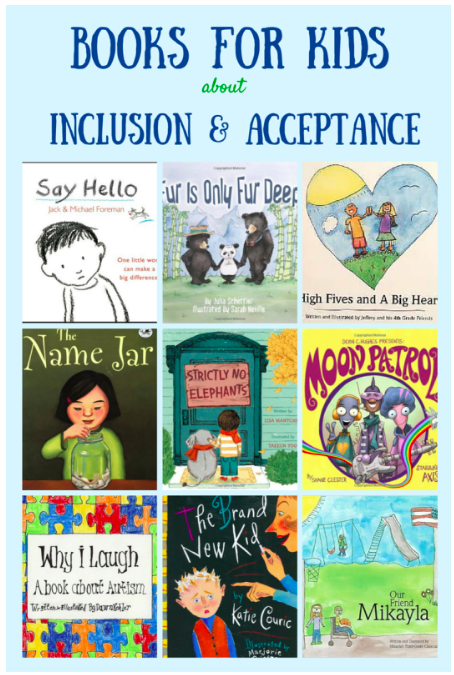 Wanting to promote inclusion and acceptance early on? Here are some books (for mostly primary grade classes) on valuing one another that you can use to stock up your library. From the site, A Day in Our Shoes, each book has a description and link to Amazon. Definitely a resource to use when planning for social and emotional learning opportunities. 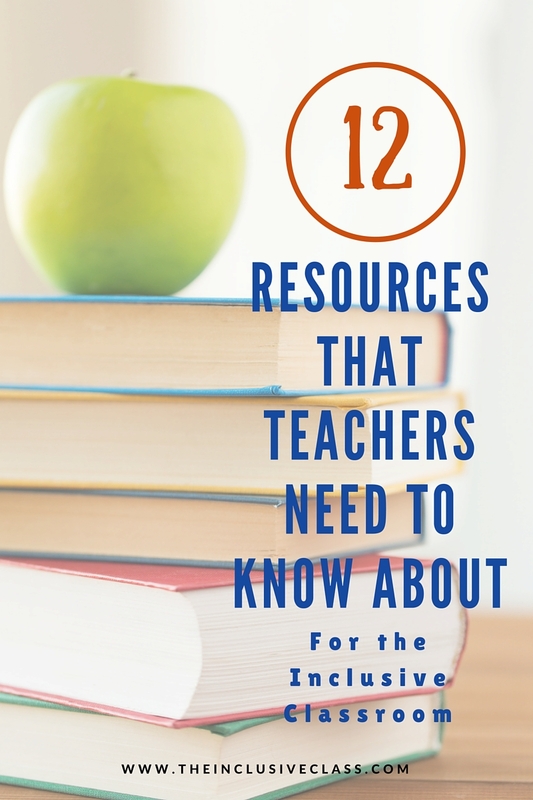 Do you have any more must-have resources to add to this list? Comment below with the name and link to the resource! Thanks! Good guide, This is very helpful. Thanks for sharing.